Parts of Tokyo are still winding down when the Tsukiji Fish Market opens. With the neon lights of Akihabara and Ginza shining bright, overall-clad workmen start hauling trolleys around and organising the morning’s catch. The seafood is too fresh to smell, which is just as well. At 3am, it’s not exactly breakfast food. 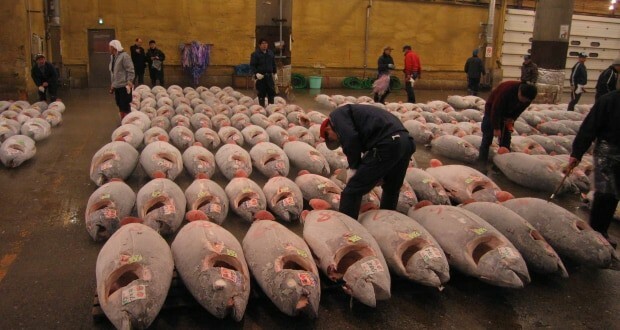 At 5am, the market comes alive with the tuna auctions. It’s also what drags bleary-eyed tourists from their beds before the first subway is running. The market is the largest of its kind in the world. It’s a huge maze of seafood stalls, restaurants, shops, processing areas, trucks and trolleys. Inside the auction area, it’s commotion. The shed is filled with tuna of all sizes, ranging from big to tip-your-boat-over-when-you-catch-it kinda big. 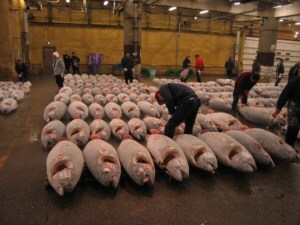 Men walk around sizing up the catch before making their bid. Then the trolleys are wheeled in and the successful buyer loads up their purchase and sends it out to the preparation areas outside and later off to restaurants, retailers and processing plants. 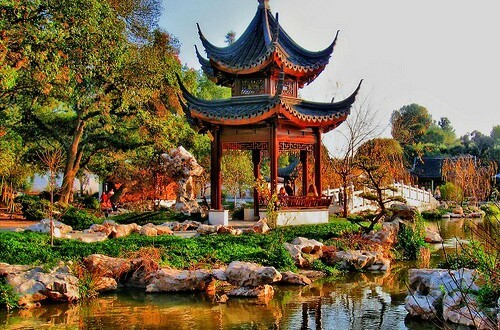 The market’s popularity has grown so much that authorities have, at times, prohibited sightseers. It used to be a case of just showing up at the crack of dawn and following the crowd to the auctions. As long as tourists stayed out of the way, it was fine. Now visitor numbers are limited to 120 visitors a day and people are admitted on a first-come, first-served basis. Registrations are taken at the market information centre from 5am, but if there’s a line it may start early. Be late at your own risk. If you don’t want to see the tuna actions, then turn up after 9am, when the wholesale area is open to the public. The market has struggled to cope with becoming such a big attraction so don’t make it worse by trying to drag your luggage through the narrow walkways. Safety is also an issue: this is not the place for heels. If, by some small miracle, you can stomach seafood for breakfast after all of this, there are plenty of (expensive) sushi restaurants at the market. By 9am the buzz is winding down, but most of the shops stay open until lunch time or early afternoon. 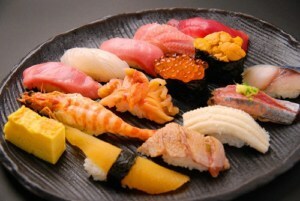 Be warned, sushi in Japan may not be what you expect after eating it in the Western world. At some restaurants the fish may be prepared right in front of you. Now that’s fresh! The growth and popularity of the market has taken its toll. Afterall, it is a commercial operation, not Disneyland. 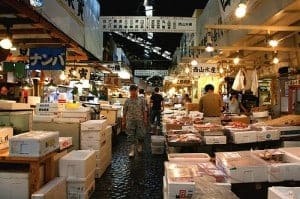 With the current infrastructure struggling to cope, the Tsukiji Fish Market was going to close after this year and reopen in 2014 in a new location, but plans have been delayed and it now looks like it will stay where it is until 2015. 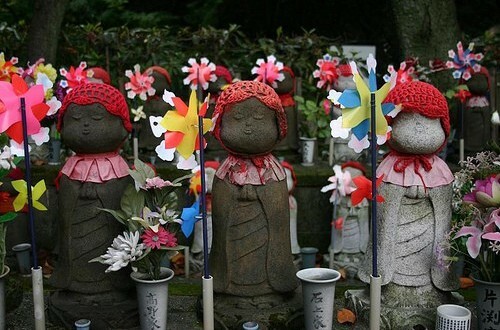 However, visitor guidelines have been getting tighter so if checking out the market is a must-see, research the opening hours and times and any possible restrictions.